The Lemon: data science solution for downside risk protection. You are a sophisticated investor. You manage large global portfolios. You know how to pick good investments. You also know that a bad apple spoils the barrel. At SFJ, watching for downside risk is our business. And while our algos look for bad apples, you continue focusing on what you do best: investing. The Lemon leverages the power of data science to measure the risks of earnings manipulation, fraud and bankruptcy that may adversely affect companies. 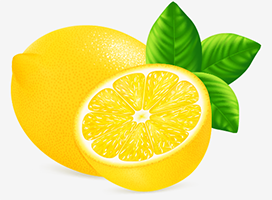 The Lemon can help investors, analysts, lenders, risk managers, ESG specialists manage downside risks, while focusing on seeking and preserving upside. The Lemon is a major leap forward in idiosyncratic risk detection, surpassing the generic tools generally available from data providers. Applied to an investment universe both on a back-test and actual basis, the Lemon has proven that it can contribute to sound portfolio management and sustained investment performance. 21 W 46th Street, 15th Fl.